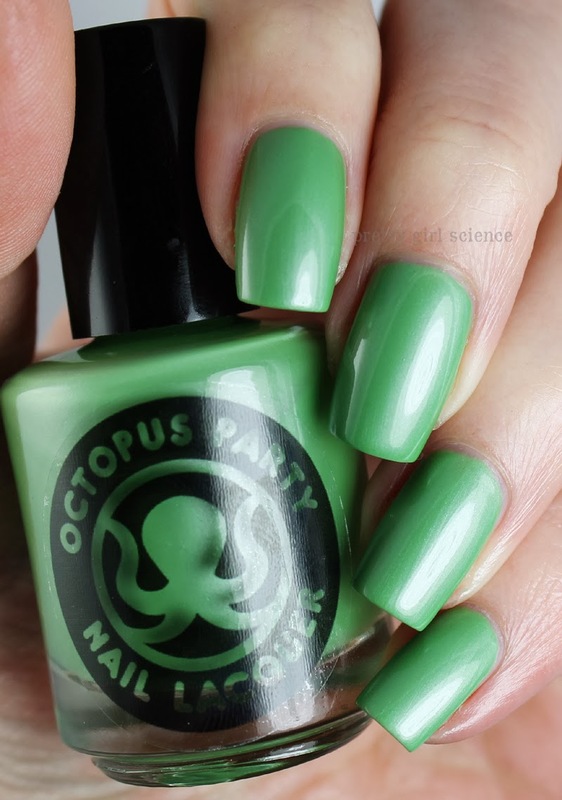 Today I have some new stuff from Octopus Party Nail Lacquer! I am really enjoying these polishes, but not as much as I'm enjoying being the first to try them! See all the swatches after the jump! First, we'll start with the new early-Spring releases! And now, for some sneak peeks! This is the best part about blogging: getting to drop teasers! 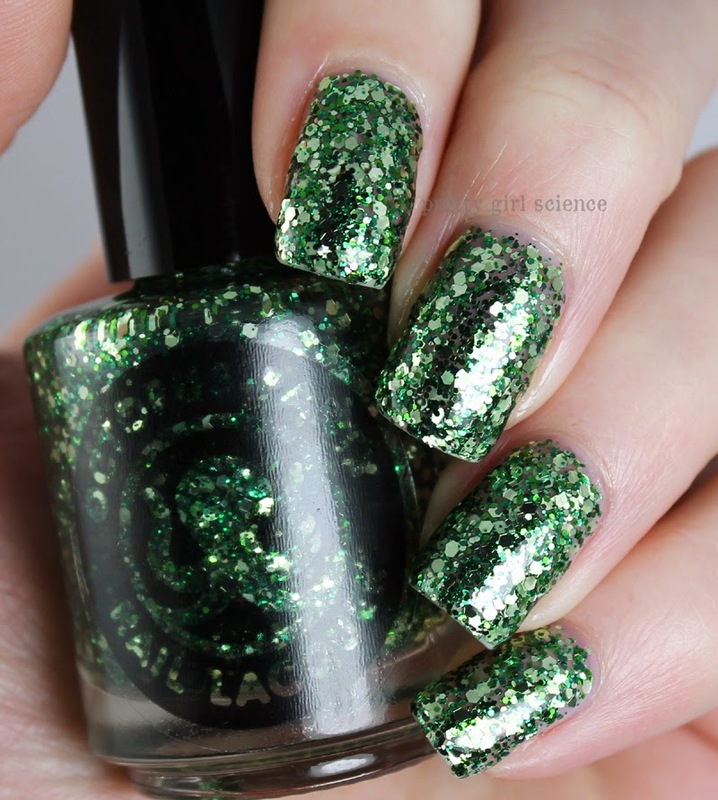 I've got two of the upcoming polishes that will be gracing the theoretical shelves of the Octopus Party Etsy shop. Plume and Bloom is a wonderful mix of gold, purple, and pink tiny glitters in a clear base. The size of the glitters and the amount of gold make this color as close to a neutral as one can get and still wear glitter. I declare this pretty SFW. It reminds me of Butter London All Hail the Queen, but turned up to 11. Laser Tag is just plain amazing. It's purple and blue and holo and jelly and omgfanfuckingtastic. I had such a time getting this to photograph correctly. It took me, no lie, over 50 shots. Which is crazy-high for me. I even tried some blurry shots and video for instagram trying to get it right. Ugh. But I think I finally got it, and it was worth all the effort! Where the Green Grass Glows is SO REFLECTIVE! I felt like I was wearing green mirrors. And Irish it were Xmas is a huge attention grabber. You will have people stopping you to comment on them. I am developing a love of indies. This is bad for my wallet. I love greens! I buy indies only if you girls have posted them :) Amazeballz is in the mail now :) I'm more of a daily lurker but I buy so many of the polishes you girls post. It is like we have the same tastes :) Thanks for all your work! YOU DO. HOLY COW. SUCH SPARKLE. Awesome swatches great review, can't wait to get mine. Ametrine hour looks amazing. It really is nice. and completey fitting with the color of the year!